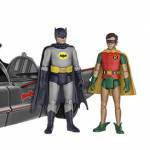 A new series of 3.75″ scale action figures based on the Batman Classic TV Series were revealed by Funko at Toy Fair 2017. Among the items on display was the iconic Batmobile, complete with Batman and Robin figures. Each figure will include 9 points of articulation, including full knee and elbow movement. The Batmobile is Funko’s first “Ride” with rolling wheels. The Batmobile itself measures in at 11″ long. 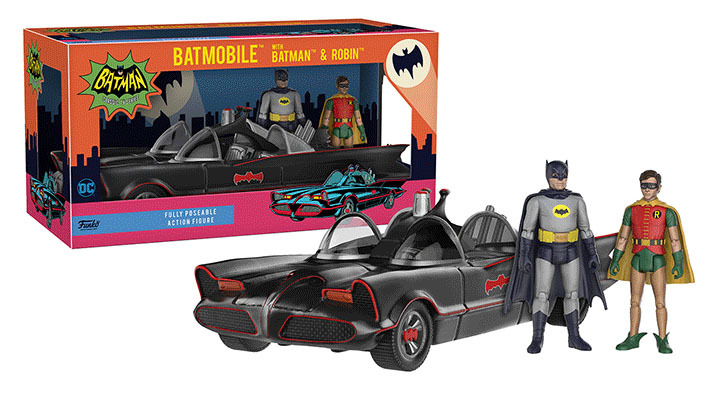 The Dynamic Duo with the Batmobile are now scheduled for release in May. Click the thumbnail for a closer look. Not bad. I wonder what this will retail for. I'm not a vehicle guy but I am so down for the figures.